*Plus tax. Odyssey, S2000, Passports & Pilots additional. Must present coupon at time service order is taken. May not be applied to previous charges. One per transaction. Hondas only. Valid only Hamer Honda. ODYSSEY, PILOT AND RIDGELINE ADDITIONAL $20.00 *Plus tax. Odyssey, S2000, Passports & Pilots additional. Must present coupon at time service order is taken. May not be applied to previous charges. One per transaction. Hondas only. 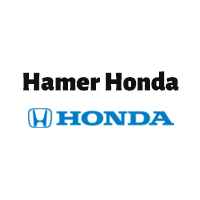 Valid only Hamer Honda. Honda vehicles only. Must present coupon when service order is written. Not valid with any other offer or discounted service. Coupon not valid on previous charges. Plus tax and hazardous waste fee.